FAMILY FRIENDLY PERFECT VACATION SPOT. 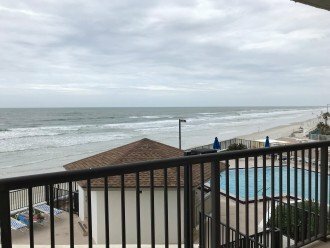 Located in beautiful Daytona Beach Shores; condo is direct oceanfront on the 2nd floor, with secured underground parking. 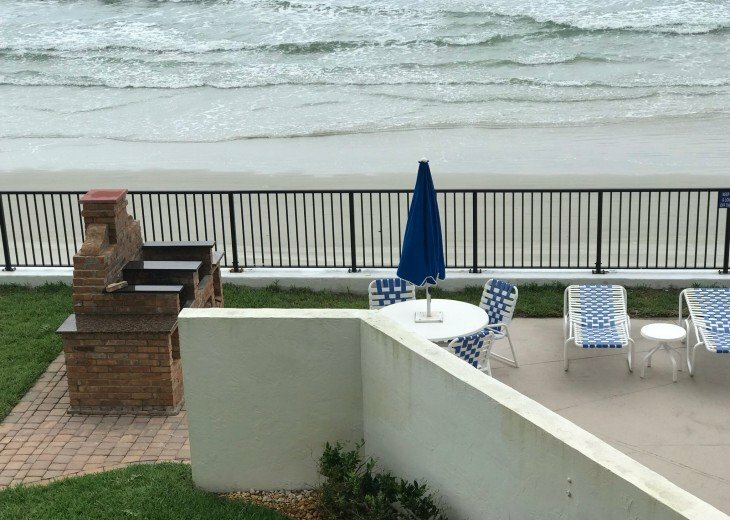 Enjoy the oceanfront pool, a walk on the beach, or play in the ocean waves. Exercise room and library available in the common area. 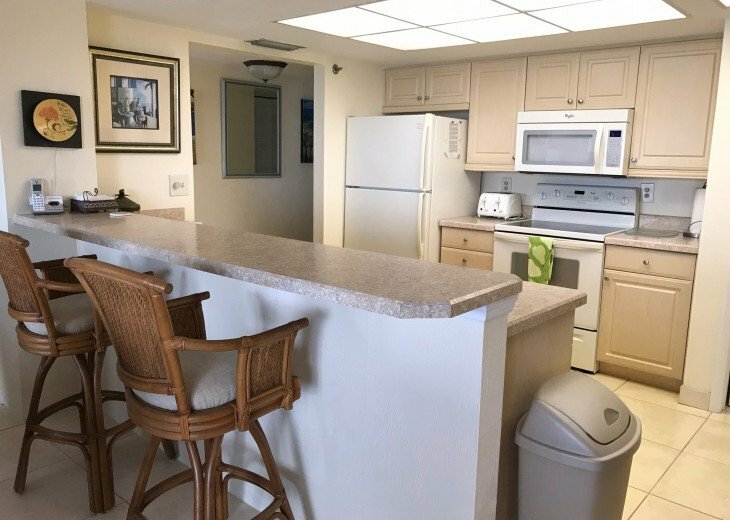 The 2 bedroom, 2 bath spacious condo is fully equipped, everything you need for a relaxing stay. 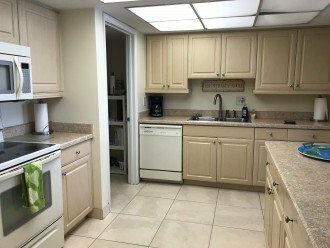 Kitchen has full sized appliances, cookware, dishes, coffeemaker, and more. Access to large balcony from living room and master bedroom. Enjoy meals in the dining area or on the balcony. 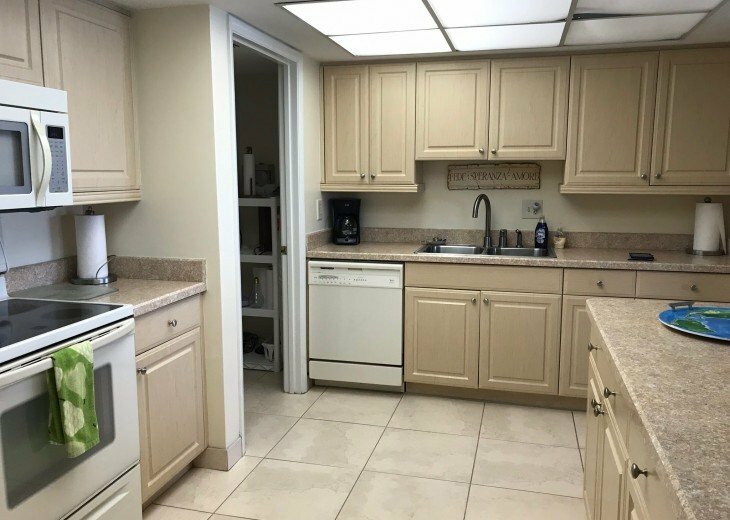 Conveniently located a short distance to Winn Dixie and Publix grocery stores, lots of restaurants and all of the excitement of Daytona Beach. 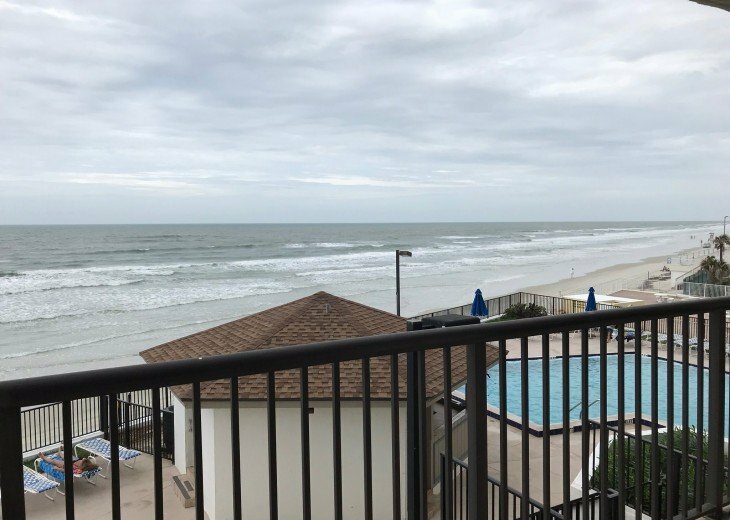 We're located just minutes to the Daytona International Speedway, Daytona Water Park, the Boardwalk, the Sunglow and Main Street Piers, concerts and fireworks at the Bandshell every Saturday night during the summer. Miniature Golf just minutes away. Rent a bike or ATV from one of the beach vendors, or just lounge in your chair and people watch. Race fans will enjoy visiting the Daytona Speedway Race Experience, and golfers can hit a few in the cool of the morning. Don't forget to visit the Ponce Inlet Lighthouse and the Marine Science Center at the Inlet. Take a day trip to Disneyworld or Universal in Orlando, Cape Canaveral and historic St. Augustine. All are an easy drive from Sandpoint. 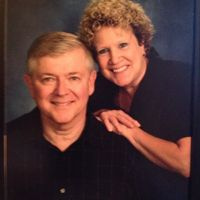 Events and Holidays may be a higher rate than listed price... please email or call for rates. 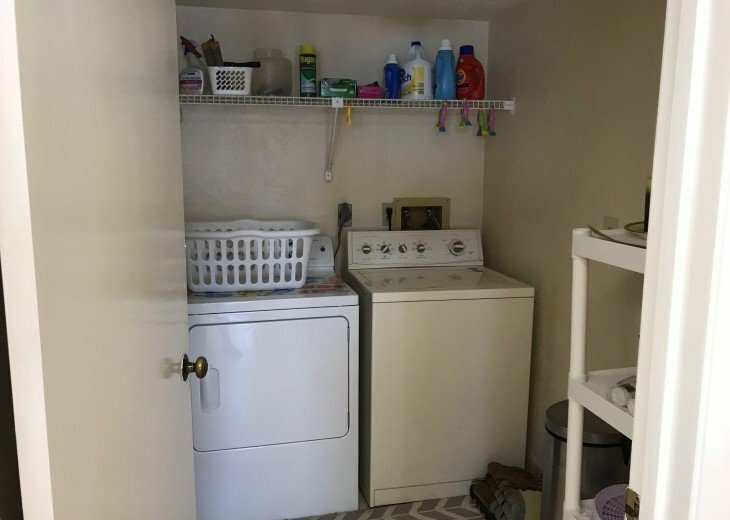 Condo was spacious, clean, well stocked with everything we needed. 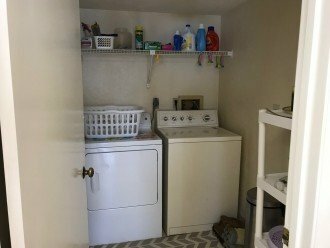 Because there was a washer and dryer in the unit, We truly only needed to bring a few clothes, toiletries and swim suit. Large balcony that went from bedroom to living provided a beautiful oceanfront view, literally steps to the beautiful beach . Can’t say enough about the management staff. They were professional and every detail organized. Can’t wait to stay there again next season! I Live In Chuluota, FL And My Sister In Charleston, SC. Love this condo and the view! This condo has the best views of any that I have stayed in. A spacious master bedroom had sliding glass doors that led to the balcony. Then there were large windows in the dining area and sliding glass doors in the living room. I have never had such a large balcony. 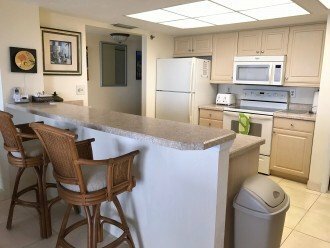 The condo itself was beautifully furnished and well equipped. My sister and I hope to stay here on our vacation next year!